Northern pike spawn in the spring when the water temperature reaches at least 48 degrees Fahrenheit. As the female spreads her eggs on vegetation in water no more than a foot deep, the male fertilizes them. Typically there are between 15, 000 and 75, 000 eggs. After the sticky eggs are attached to the submerged vegetation, the male and female both leave. The eggs hatch after about two weeks. The newly hatched “fry” feed on their egg sack until it is gone and then switch their diet to zooplankton. After about two weeks, they begin to feed on small fish. Pike grow most rapidly during the first two years of their life. Sexual maturity is reached between ages 3 and 5, with the males reaching this point earlier than the females of the same age. The average lifespan of a northern pike in the wild is 7 years. The state fish of North Dakota is the northern nike. The Northern pike is sometimes called other names: American pike, common pike, Great Lakes pike, jackfish, longhead, and snot rocket. Pike are known as ambush predators. Pike can lie perfectly still for a remarkable period of time. Northern pike can swim 8-10 miles per hour. The older the fish is, the larger it is. Most pike that weigh more than 18 pounds are female. The world record pike was caught in Germany. Pike do not make nests for their eggs. Neither the male nor the female pike care for the eggs once they are laid. The majority of the fry do not hatch successfully. The “fries” continue to attach onto vegetation because of a sticky patch still on their head. This patch remains there for a couple of weeks. The oldest pike in its natural habitat lived to be 25 years old. The pike is not a picky eater. Adult pike typically have no other predators than humans. Northern pike seek areas of dense vegetation in streams, lakes, and large rivers. They tend to occupy the shallow waters near the shore with covering. They prefer cool water, and therefore will head to the deeper water around midsummer. 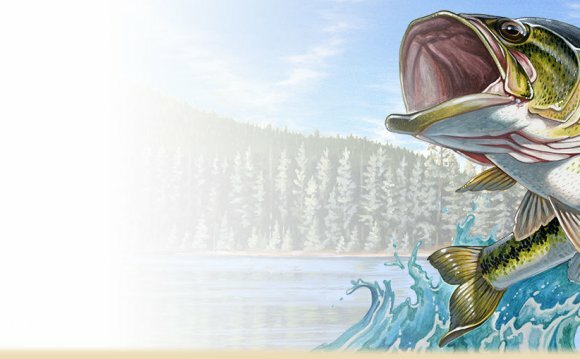 What Do Northern Pike Eat? Pike are carnivorous fish and consume a large amount of food each day. Their diet consists mainly of fish that are smaller than them but they also eat other creatures like frogs and waterfowl. Pike lurk in the vegetation, making no movements, just waiting for a creature to get close enough to strike it. Pike are not picky with the species of fish they go after; they will eat just about anything smaller than them.